Dessicated coconut is delicious in baked in muesli'like in our oat-coconut museli, it also tastes good simply sprinkled over fruit salad or cooked grains such as millet, polenta or sweet rice cooked in milk with dried fruit (usually 1 part grain, 2 parts water, 1 part milk). Coconut is also good in biscuits and pastry. 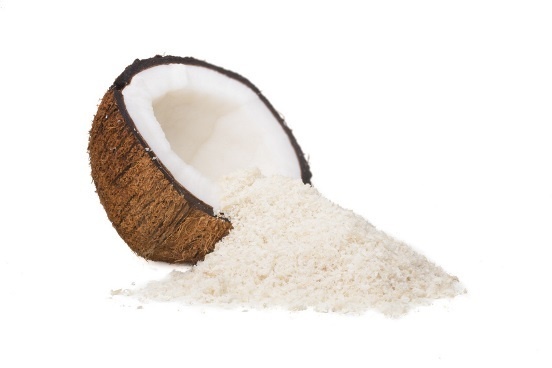 Coconut does contain a high proportion of saturated fat, making it less healthy than other nuts and seeds, and should therefore be used more sparingly. Coconut is 15% carbohydrate, 33% fat (30% of which is saturated) and 3% protein.